Suchismita Mishra, Yadlapalli S Kusuma, Bontha V Babu. Background: Internal migrants and tribal populations are vulnerable in India. Migrant tribal communities in urban areas, due to doubled vulnerability, are at the risk of low health-care access. Objective: To appraise the extent of, and barriers to, accessing government health care by tribal migrants in an eastern Indian city. Materials and Methods: This study, undertaken in slums of Bhubaneswar, a city in eastern India, adopted a mixed-method approach with quantitative data from mothers of children aged 0–14 years (n = 175) and qualitative data from community members (n = 50) and key informants (n = 26). Results: A majority of participants (82%) did not visit any government health facility during the past year. Barriers to access government health-care facilities are related to both the health system and the community. Distance and lack of knowledge regarding the location of government health facilities and lack of trust in the government services are responsible for low use. Some cultural perceptions such as perceived etiology of illness and faith in traditional healers contribute toward low health-care access. Conclusion: The study emphasizes the need to consider the cultural beliefs and practices of people while planning health programs for tribal migrant communities, in addition to addressing the health system-related issues to improve the services. 1. National Sample Survey Organization. Migration in India (2007ï¿½2008). NSS 64th ROUND (July 2007ï¿½June 2008). New Delhi: National Sample Survey Ofï¬�ce, Ministry of Statistics & Programme Implementation, Government of India 2010. 2. Srivastava R. Internal Migration in India: An Overview of its Features, Trends and Policy Challenges. Social and Human Sciences Sector, UNICEF 2011. 3. Babu BV, Swain BK, Mishra S, Kar SK. Primary healthcare services among a migrant indigenous population living in an eastern Indian city. J Immigr Minor Health 2010;12(1):53ï¿½9. 4. Swain BK, Mishra S. Immunization coverage among migrant tribal children in slums of Orissa. Indian Pediatr 2006;43 (11):1011ï¿½3. 5. Borhade A. Health of internal labour migrants in India: some reï¬‚ections on the current situation and way forward. Asia European J 2011;8:457ï¿½60. 6. Kusuma YS, Kumari R, Pandav CS, Gupta SK. Migration and immunization: determinants of childhood immunization uptake among socioeconomically disadvantaged migrants in Delhi, India. Trop Med Int Health 2010;15:1326ï¿½32. 7. Saggurti N, Nair S, Malviya A, Decker MR, Silverman JG, Raj A. Male migration and HIV among married couples: cross-sectional analysis of nationally representative data from India. AIDS Behav 2011;16(6):1649ï¿½58. 8. Rao DH. Nutritional proï¬�le of Indian tribes. Nutr News 1996; 17(2):1ï¿½4. 9. Chatterjee U, Saha KB. An overview of utilization of antenatal care services among the scheduled tribe of major States of India. Anthropologist 2002;2(1):37. 10. Nayak AN, Babu BV. Tribal health problems: an anthropological appraisal. Man India 2003;83(3ï¿½4):301ï¿½13. 13. Obrist B, Iteba N, Lengeler C, Makemba A, Mshana C, Nathan R, et al. Access to health care in contexts of livelihood insecurity:a framework for analysis and action. PLoS Med 2007;4(10): 1584ï¿½8. 14. Spradley JP. The Ethnographic Interview. New York: Holt, Rinehart and Winston 1979. 15. Hudelson PM. Qualitative Research for Health Programmes. Geneva: World Health Organization 1994. 17. Lengeler C, Mashinda H, Savigny D, Kilima P, Morona D, Tanner M. The value of questionnaires aimed at key informants, and distributed through an existing administrative system, for rapid and cost-effective health assessment. World Health Stat Q 1991;44(3):150ï¿½9. 18. Mergenthaler E, Stinson CH. Psychotherapy transcription standards. Psychother Res 1992;2:125ï¿½42. 19. McLellan E, MacQueen KM, Neidig JL. Beyond the qualitative interview: data preparation and transcription. Field Methods 2003;15(1):63ï¿½84. 20. Babu BV, Chhotray GP, Hazra RK, Satyanarayana K. Perceptions and interactions of vulnerable groups with the government health services. Indian J Soc Work 2000;61(1): 55ï¿½65. 21. Varma GR, Kusuma YS. Immunization coverage in tribal and rural areas of Visakhapatnam district of Andhra Pradesh, India. J Public Health 2008;16(6):389ï¿½97. 22. Dongre AR, Deshmukh PR, Garg BS. Childhood morbidity, household practices and health care seeking for sick children in a tribal district of Maharashtra, India. Indian J Med Sci 2010; 64(1):7ï¿½16. 23. Mumbare SS, Rege R. Ante natal care services utilization, delivery practices and factors affecting them in tribal area of north Maharashtra. Indian J Community Med 2011;36(4): 287ï¿½90. 24. Varma GR, Kusuma YS, Babu BV. Antenatal care service utilization in tribal and rural areas in a South Indian district: an evaluation through mixed methods approach. J Egypt Public Health Assoc 2011;86(1ï¿½2):11ï¿½5. 25. Chatterjee CB. Identities in Motion: Migration and Health in India. Mumbai: Centre for Enquiry into Health and Allied Themes (CEHAT), 2006. 26. Krieger N, Zierler S. Accounting for the health of women. Crit Public Health 1997;7(1ï¿½2):38ï¿½49. 27. Van der Stuyft P, De Muynck A, Schillemans L, Timmerman C. Migration, acculturation and utilization of primary health care. Soc Sci Med 1989;29(1):53ï¿½60. 28. Zulkiï¬‚i SN, Maw Khin U, Yusof K, Lin WY. Maternal and child health in urban Sabah, Malysia: a comparison of citizens and migrants. Asia Pac J Public Health 1994;7(3):151ï¿½8. 29. Sundquist J. Migration, equality and access to health care services. J Epidemiol Community Health 2001;55:691ï¿½2. 30. Feng W, Ren P, Shaokang Z, Anan S. Reproductive health status, knowledge, and access to health care among female migrants in Shanghai, China. J Biosoc Sci 2005;37(5):603ï¿½22. 31. Norredam ML, Nielsen AS, Krasnik A. Access to health care for migrants. Ugeskr Laeger 2006;168(36):3008ï¿½11. 32. Ravinetto R, Lodesani C, Dï¿½Alessandro U, De Filippi L, Pontiroli A. Access to health care for undocumented migrants in Italy. Lancet 2009;373:2111ï¿½2. 34. Hnilicovï¿½ H, Dobiï¿½sovï¿½ K. Migrantsï¿½ health and access to healthcare in the Czech Republic. Cent Eur J Public Health 2011;19:134ï¿½8. 35. Riccardo F, Dente MG, Kojouharova M, Fabiani M, Alfonsi V, Kurchatova A, et al. Migrantï¿½s access to immunization in Mediterranean countries. Health Policy 2012;105(1):17ï¿½24. 36. Lï¿½pez-Cevallos DF, Chi C. Migration, remittances, and health care utilization in Ecuador. Rev Panam Salud Publica 2012;31 (1):9ï¿½16. 37. Ensor T, San PB. Access and payment for health care: the poor of northern Vietnam. Int J Health Plann Manage 1996;11:69ï¿½83. 39. Helander B. Getting the most out of it: nomadic health care seeking and the state in southern Somalia. University of Uppsala. Nomadic Peoples 1990;25/27:122ï¿½32. 40. Lynch C. Report on Knowledge Attitude and Practices for Malaria in Somalia. UNICEF/Global Fund Partners. Malaria Consortium 2005. 41. Meyer CD/Horn Relief. Addressing the Health Needs of Settlement Residents in the Eastern Sanaag District of Northern Somalia. Consultant Report. Columbia University School of International and Public Affairs, Mailman School of Public Health 2006. 42. Onwujekwe O, Uzochukwu B. Socio-economic and geographic differentials in costs and payment strategies for primary health care services in Southeast Nigeria. Health Policy 2005;71: 383ï¿½97. 43. De Bartolome CA, Vosti SA. Choosing between public and private health-care: a case of study of malaria treatment in Brazil. J Health Econ 1995;14(2):191ï¿½205. 44. Tripp-Reimer T. Cultural assessment. In: Nursing Assessment: A Multidimensional Approach. Bellack J, Bamford P (Eds). Monterey, CA: Wadsworth Health Sciences, 1984. pp. 226ï¿½46. 45. Huttlinger K, Krefting L, Drevdahl D, Tree P, Baca E, Benally A. ï¿½ï¿½Doing battleï¿½ï¿½: a metaphorical analysis of diabetes mellitus among Navajo people. Am J Occupational Ther 1992;46(8):706ï¿½12. 46. Marsh KM, Muteni W, Same ES, Haaland A, Snow RW. Evaluating the community education programme of an insecticidetreated bed net trial on the Kenyan coast. Health Policy Plan 1996;11:280ï¿½91. 47. Jaffar S, Van Hensbroek MB, Palmer A, Schneider G, Greenwood BM. Predictors of a fatal outcome following childhood cerebral malaria. Am J Trop Med Hyg 1997;57(1):20ï¿½4. 48. Mishra S, Behera DK, Babu BV, Kusuma YS. Encounters with talsa: worship and healing practices for measles among a rural-urban migrant Santal tribal community in Orissa, India. Mankind Q 2012;LII(1ï¿½2):311ï¿½22. 49. Sauerborn R, Berman P, Nougtara A. Age-bias, but no gender bias in the intra-household resource allocation for health care in rural Burkina Faso. Health Trans Rev 1996;6(2):131ï¿½45. 50. Tolhurst R, Nyonator F. Looking within the household: gender roles and responses to malaria in Ghana. Trans R Soc Trop Med Hyg 2006;100(4):321ï¿½6. 51. Kamat VR. Reconsidering the popularity of primary health centers in India: a case study from rural Maharashtra. Soc Sci med 1995;41(1):87ï¿½98. 52. Kamat VR. 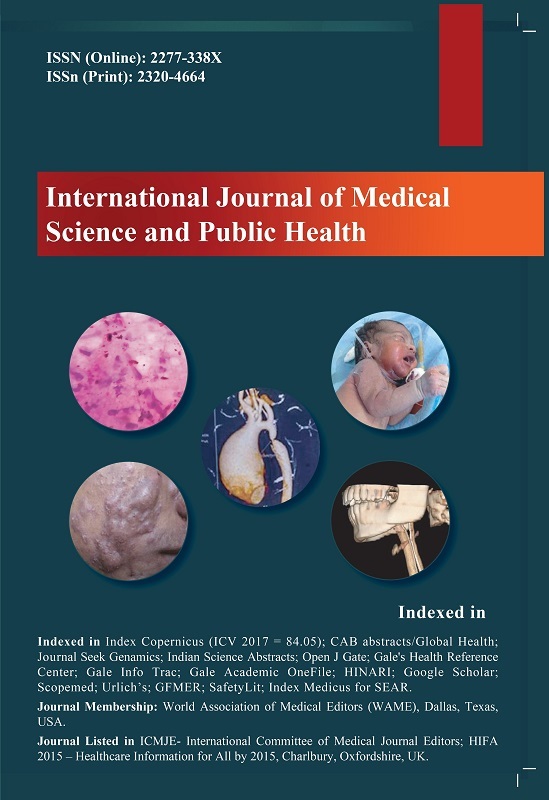 Private practitioners and their role in the resurgence of malaria in Mumbai and Navi Mumbai, India: serving the affected or aiding an epidemic? Soc Sci Med 2001;52(6): 885ï¿½909. 53. Tarimo DS, Lwihula GK, Minjas JN, Bygbjerg IC. Mothersï¿½ perceptions and knowledge on childhood malaria in the holendemic Kibaha district, Tanzania: implications for malaria control and the IMCI strategy. Trop Med Int Health 2000;5:179ï¿½84. 54. Thind A, Cruz AM. Determinants of childrenï¿½s health service utilization in the Philippines. J Trop Paediatr 2003;49(5):269ï¿½73. 55. Feyistan BJ, Adeokun L. Impact of child care and disease treatment on infant mortality. In: Proceedings of the International Seminar on Morbidity, Mortality and Social Policy: A Focus on the Young and the Elderly, 1992. pp. 125ï¿½40. 56. Duddu V, Isaac MK, Chaturvedi SK. Somatization, somatosensory amplification, attribution styles and illness behaviour: a review. Int Rev Psychiatry 2006;18(1):25ï¿½33. Int J Health Plann Mgmt 2018; (): . BMC Geriatr 2018; 18(1): . Paediatrics and International Child Health 2017; 37(3): 181. Paediatrics and International Child Health 2016; (): 1. J Trop Pediatr 2016; (): fmw092.